ALLEN PARK — The Detroit Lions fired Jim Caldwell nearly a year ago to reach another level. 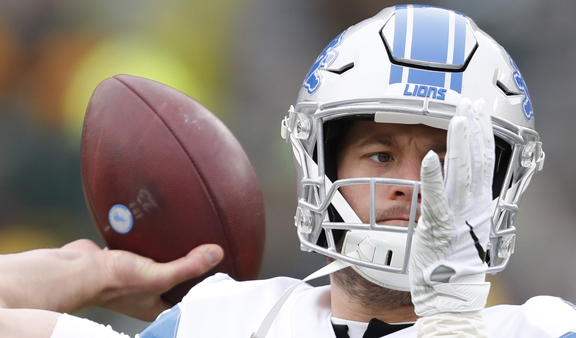 The Lions plummeted to 6-10 and last place in the NFC North in Matt Patricia’s first season as head coach, their worst year since losing 12 games in 2012. “We all have to do better and it starts with me,” Patricia said Monday. Caldwell was Detroit’s most successful coach in the Super Bowl era, averaging nine wins over four seasons and reaching the playoffs twice. That wasn’t good enough for general manager Bob Quinn, who made the move to cut him loose. The former New England executive chose to reunite with Patricia, who was the Patriots’ defensive coordinator, and the leader of the front office wasn’t available for interviews all season to assess the way the shaky season was going. “We finished in a good spot, in a good way,” Ford told reporters at Green Bay. The Lions made a shrewd move in October, acquiring run-stuffing defensive tackle Damon “Snacks” Harrison from the New York Giants. But they made a move less than a week later that sent signals the future was more important, sending receiver Golden Tate to Philadelphia. Assuming Stafford returns, he will be working with a new offensive coordinator for the first time in three-plus seasons. Jim Bob Cooter, who was retained when Patricia hired, was let go by the Lions on Tuesday.